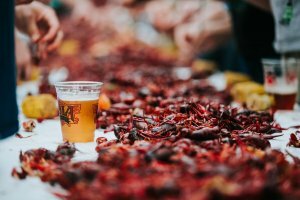 No one should leave New Orleans without experiencing its distinctive Creole restaurants, but whittling down the city’s long list of outstanding establishments to fit your budget and time constraints can be a real challenge. After all, there are only so many meals one can cram into a vacation. Happily, there is an easy and tempting way to get the feel and flavor of several different classic New Orleans establishments each day without making reservations or taking out a loan. Simply saddle up to the bar. 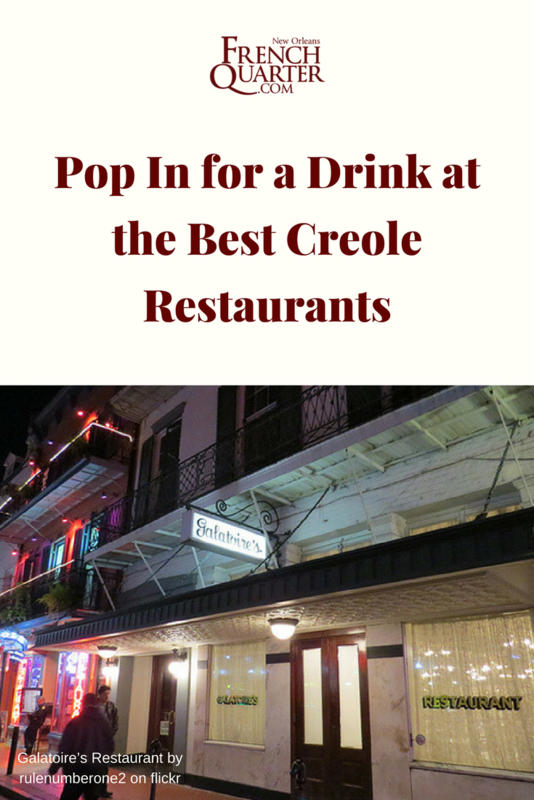 Many of the Crescent City’s most celebrated dining establishments feature lavish bars or lounges where guests can soak up the old New Orleans atmosphere, enjoy a cocktail or glass of wine or even peruse the menu for a light bite without committing to a full meal. 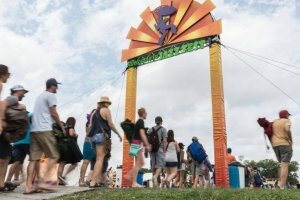 Just plan out a schedule and splurge a little. Lunch — the quintessential meal at Galatoire’s Restaurant (209 Bourbon St., 504-525-2021) — can last literally all day. But guests can still manage a quick visit here thanks to a 1999 renovation that added a bar and lounge area to the second floor. For the better part of a century, drinks were served only from a service bar to diners already seated, but the new upstairs bar offers a different way to experience Galatoire’s, if only for a cocktail. While the jackets-required dress code is not as strictly enforced at the bar, it’s a good idea to dress the part anyway if you plan to imbibe in this fine environment. 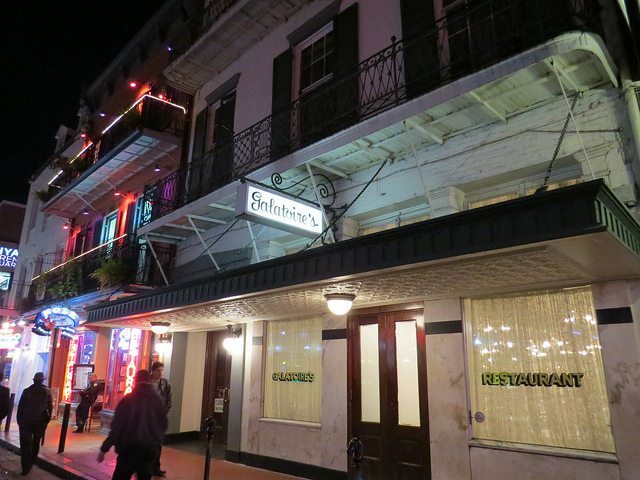 The storied history of Arnaud’s Restaurant (813 Bienville St., 504-230-8892) holds that its labyrinthine network of private dining rooms, corridors and secluded chambers effectively concealed illicit drinking during the dark days of Prohibition. In fact, requesting coffee at the start of lunch was in many cases a password for ordering a cocktail. Such measures aren’t necessary today, of course, but the rambling old building retains much of the same mystique. The restaurant’s French 75 Bar — named for a specialty drink of brandy and champagne — serves both as a lounge for diners before and after a meal and also as a destination in its own right to bask in Arnaud’s ambiance. Tujague’s Restaurant (823 Decatur St., 504-525-8676) didn’t start its long career as an upscale restaurant, but rather as a place for workers from the nearby docks and merchants from the even closer French Market to catch a workday meal. Flash forward more than 150 years and the unique Creole repasts served up in the dining room have established Tujague’s as a New Orleans dining destination. But it’s in the establishment’s front barroom that its original rakish spirit truly lives on. There are no stools along the long, beautiful cypress bar and in fact the only real eye-catching décor in the place is an ancient and massive mirror behind the bar said to have been imported from Paris in the 19th century. Ducking in from bustling Decatur Street’s sidewalks, a drink in the high-ceiling room can seem like a time-warp. Napoleon House (500 Chartres St., 504-524-9752) is named for the French emperor and offered to him as refuge after he was driven from power. Napoleon never took up the offer, but today plenty of locals and visitors avail themselves of the bar and café housed in the 18th century building. The bistro in the rear is an upscale establishment with a Creole menu to match, but it’s the casual front dining room and bar that are the most atmospheric. Plaster walls show a patina of age and the subdued, old world décor is accented by the omnipresent classical music broadcast through the room. The specialty drink here is the Pimm’s Cup, which is the color of iced tea and nearly as refreshing, though fortified with alcohol and garnished, oddly, with a slice of cucumber. If it gets too crowded and the weather is fine, try to score a table in the small, lush courtyard at the center of the old building. New Orleans gave culinary superstar Emeril Lagasse his start, and it is still the seat of his empire. 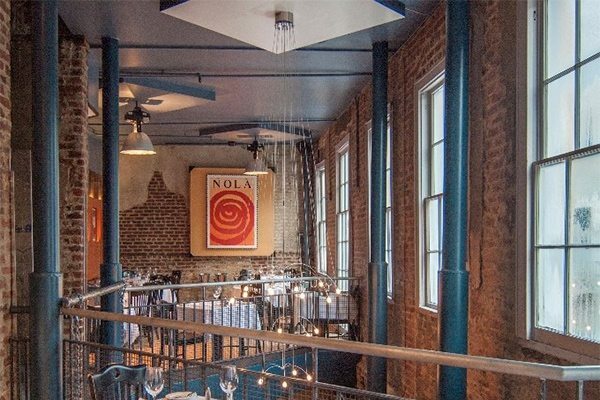 You can take a seat at the bar of his French Quarter restaurant NOLA (534 St. Louis St., 504-522-5562), where the Creole townhouse exterior masks the high energy ambiance and contemporary design inside. The bar is typically jammed with diners waiting for a table, and waiters passing with plates of smoked duck pizza, cedar plank roasted redfish and spicy New Orleans barbecue shrimp en route to those already seated provide ample evidence that the wait is worth it. But squeeze in to the cement-topped bar anyway, order a fancy cocktail, keep your eyes peeled for celebrities (maybe the chef himself) and consider making a reservation for next time.